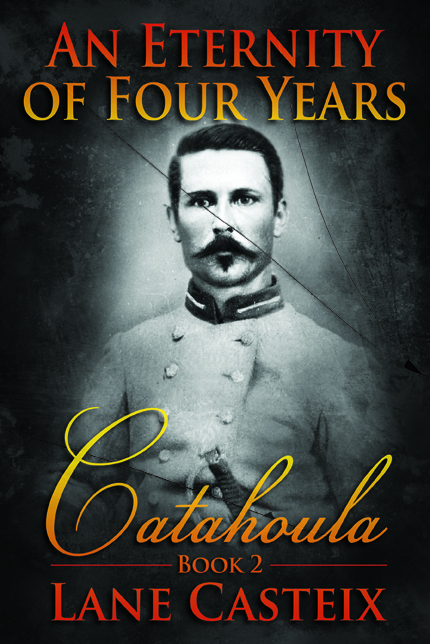 The Paperback Version of An Eternity of Four Years is now available! Finally! It is done! I have been teasing you long enough. The exciting conclusion to the two-part epic of the Legend of Rachel and Ethan, An Eternity of Four Years, is finally finished and published. Both the Kindle digital version and the paperback version are available at Amazon. 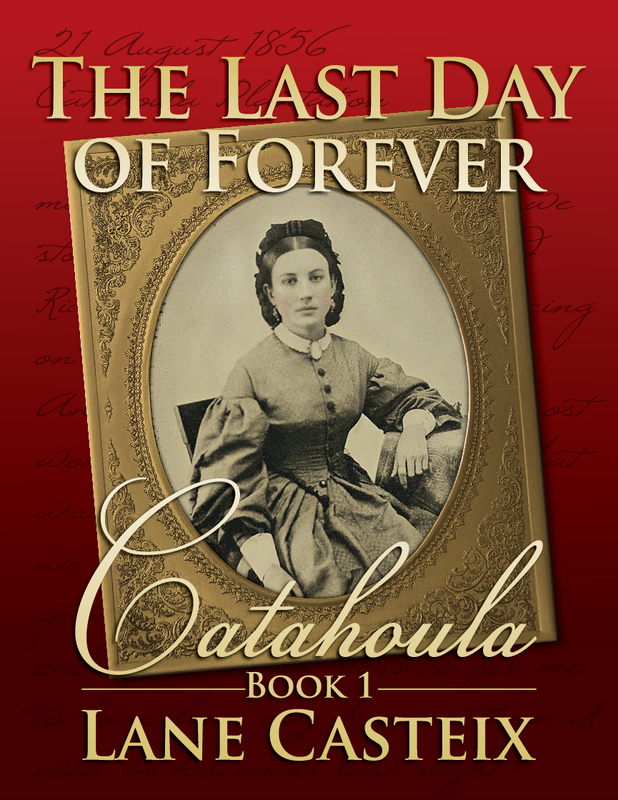 An Eternity of Four Years picks up the story four days after The Last Day of Forever ends and carries the reader through the turbulent years of the Civil War with Ethan searching for Rachel to mend what was broken between them. If you haven’t read part 1 yet, The Last Day of Forever, you need to read it first. Either book can stand alone, but reading both in order fills in a lot of back story and detail you will find both interesting and helpful to your reading experience. Get ’em while they are hot! And don’t forget to go back and post a review. It will help the books get visibility and credibility. AT LAST! It is published! Well, almost. The digital version of The Last Day of Forever will be released for sale on Friday May 8! It is available as a preorder NOW. To order it now for delivery May 8 (digital versions) go here. BUT, the paperbacks are available for purchase NOW. To get your copy go here. 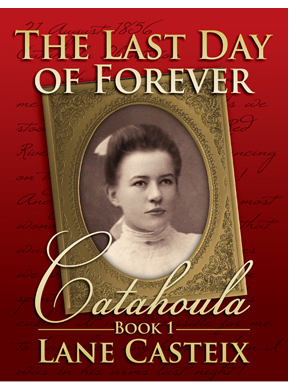 Digital versions of The Last Day of Forever – Right now, it is only available on Amazon for Kindle devices. You can download free Kindle reader apps for other devices like iPads. There is a link for that at the Amazon page for The Last Day of Forever. 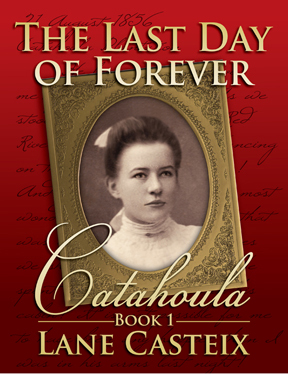 Print version of The Last Day of Forever – The link will take you to CreateSpace, a division of Amazon. (Eventually, it will be listed on the Amazon page also.) These books will be PoD (Print on Demand), meaning they will be digitally printed as they are ordered. They will be 6×9 paperbacks, but the quality is very high. Sorry, but I will not have any to sell direct, because I will not be applying for a retail sales tax license from the parish and state. If you simply must have it signed, I will be glad to do so. Contact me, and we will work something out. Go back to where you bought it and post an honest review. Assuming you like The Last Day of Forever, you will probably want to read An Eternity of Four Years, which continues the story. While The Last Day of Forever is mostly a coming of age love story, An Eternity of Four Years is much darker since it takes place during the Civil War, and both Ethan and Rachel are, of course, involved in it. The Last Day of Forever will probably appeal more to women; An Eternity of Four Years will probably appeal more to men. Not sure that was a good idea or not, but it is where the story went. I expect to release An Eternity of Four Years very soon. Will there be a Book 3? Working on it. Working title is The Avenging Angel, but it has a long way to go. 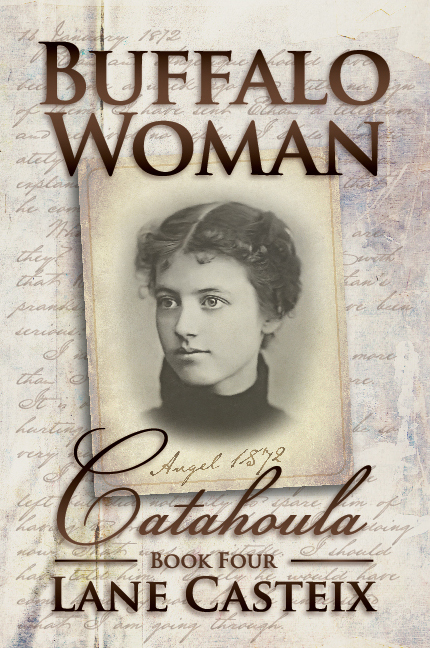 There may also be other stories in the Catahoula Series based on spin-off characters, like Silas Riddle, whom you will meet in An Eternity of Four Years. Lastly, I want to thank you, my friends and relations, who have been supportive of me and patient during this process, especially my bride. I truly enjoyed telling this story, and I hope you will enjoy reading it. By all means, email me with your comments and suggestions. The nice thing about digital publishing is if something is broken, it can be fixed. I can simply correct the digital file and upload the new one. I did my best to rid the files of issues and had several beta readers review the story and edit it, but I am sure something slipped past all the eyes that were on it. As my teachers in school used to say, “Put down your pencils and turn in your papers.” Pencils are down and the papers are turned in—warts and all. Comments Off on AT LAST! It is published! I just received two proof copies of The Last Day of Forever. I want to tell you, it is an awesome feeling to hold a real live book in your hands with your name on it as the author! These will be gone over carefully one last time before publishing. I already see some things I need to fix in the cover image and internal formatting, and I haven’t even begun reading it for errors. I am thinking (hoping) this last step won’t take more than two weeks to get to hitting the “publish” button. Here is another short excerpt from The Last Day of Forever. Enjoy. This is the first entry in my diary since my mother passed away almost a month ago. My life has changed in so many ways I cannot even begin to comprehend what all this will mean for me. I need to record my thoughts, and maybe that will help me sort things out in my mind. I’m on the sternwheeler “Shreveport Belle” headed up the Mississippi River from New Orleans bound for Catahoula Plantation on the Red River. I found a place where I can have privacy to work on my diary, a comfortable bench in front of the wheelhouse with a marvelous view of the river. My mother’s passing was the most profound change in my life. She was my life, especially the last months she was alive, her health slowly declining, rendering her incapable of even the most basic efforts without my assistance. During that period, we became even closer than we were before. We laughed together and we wept together as we attempted to get through her terribly painful sickness. It was hard watching my mother die, watching her deteriorate from the vivacious and loving woman I knew most of my life into the empty shell she became. In some ways, I am not yet accepting of it. I have not wept for her, not even at her funeral. I was numb, feeling nothing, as if my emotions were depleted, and I was incapable of expressing them. The hurt in my heart would not come out for me to find relief from it. More changes came in my mother’s last days when an old friend of hers showed up, summoned by her. Morgan Davis was a friend of my long deceased father. My mother had written Uncle Morgan (as I was asked to call him) when she realized her remaining time here on earth was drawing to a close. They had not seen each other since before I was born, and they must have been close since she asked him to take responsibility for me. When Uncle Morgan first arrived at our home in Virginia, my mother asked to be alone with him. I waited outside and could hear them talking about me. Sometimes they got quite loud, though not enough for me to understand all they said, but I knew my future was being decided in that room. My mother called me in after they had spoken and explained what was about to happen to me. I was to be given to a complete stranger and taken away to his plantation in Louisiana–a place I knew nothing about–and joined to a family I had never met. That’s when the full impact of my mother’s pending death hit me for the first time. That’s when the fear first set in. I looked up at Uncle Morgan, and he seemed as confused and distressed as I was, though he tried to hide it with a reassuring smile. With my future thus settled, my mother died a few days later.